We are the Manufacturer, Exporter, Trader and Service Provider of Pusher Type Slab / Billet Reheating Furnace Systems. 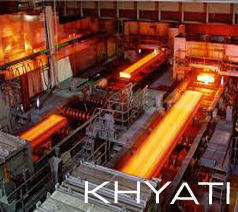 WE ARE SUPPLIER OF REHEATING FURNACE FOR BILLET/BLOOM/SLAB FOR ALL TYPES OF STEEL ROLLING MILLS. So as to uphold the standing we have built up, we are engrossed in presenting a broad compilation of Oil Fired Billet Reheating Furnaces. 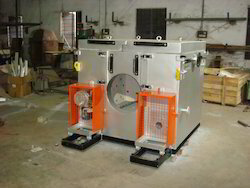 We manufacture Billet Re-Heating Furnace up to 45 tons per hour capacity. The specific fuel consumption guaranteed is as low as 33 ltrs/ton of steel heated and the scale/burning loss is less than 1% in oil firing and about 0.5% in Gas firing applications. With the aid of latest machinery and a team of skilled professionals, we have been able to offer optimum quality Billet Reheating Furnace. Our wide range of Billet Reheating Furnaces is designed for the capacity of 50 Tons/Hr. These furnaces are precision engineered for efficient performance at low fuel consumption of 0.32 million K cal /Ton. Billet reheating furnaces are capable of heating 300 mm sq. for top and bottom firing furnaces and billets/ ingots up to 200 mm sq. for top firing. We introduce ourself as builder of Billet / Bloom / Slab, Reheating furnaces of all types for steel rolling mills like your partner in area of heating solutions.